The piston engine is the “heart”, subjected to alternating mechanical load and thermal load, the engine is in the worst working conditions of one of the key parts. The piston is a function of gas pressure to bear, and through the piston pin to the connecting rod driven by the rotation of the crankshaft, piston top is an integral part of the combustion chamber. 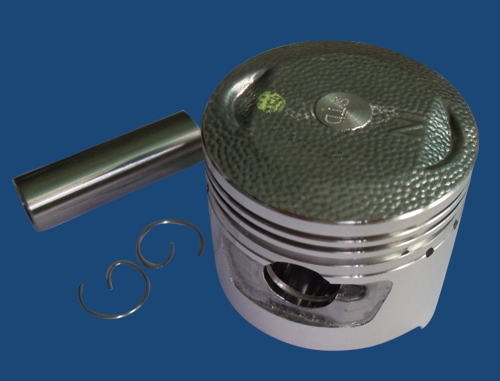 Piston type is generally divided into: diesel engine piston, piston, piston of gasoline vehicle general type. 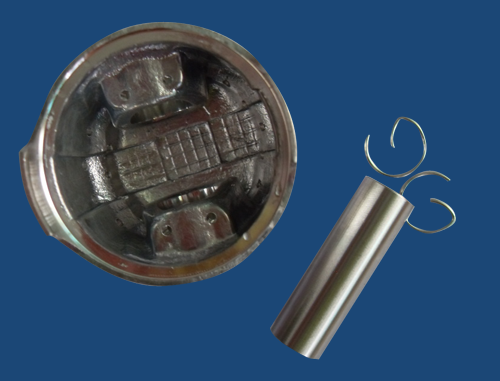 The piston is a function of gas pressure to bear, and through the piston pin to the connecting rod driven by the rotation of the crankshaft, piston top is an integral part of the combustion chamber. The working conditions of high temperature and high pressure, the piston in, bad lubrication conditions. Piston directly with the high temperature gas exposure, instantaneous temperature can reach more than 2500K, therefore, is serious, and heat dissipation condition is very poor, so the piston when the temperature is very high, high at the top of 600~ 700K, and the temperature distribution is not uniform; the top of the piston under gas pressure is very great, especially the power stroke maximum pressure, gasoline engine high of 3~ 5MPa,6 ~9MPa diesel engine is high, which makes the piston impact, and bear the side pressure; a piston in a cylinder at high speed (8 – 12m / s ) reciprocating motion, and the speed is constantly changing, which has made a big inertia force, make the piston is subjected to a large additional load. The piston in such a bad condition, will produce deformation and wear, but also generate additional load and thermal stress, at the same time by gas chemical corrosion.